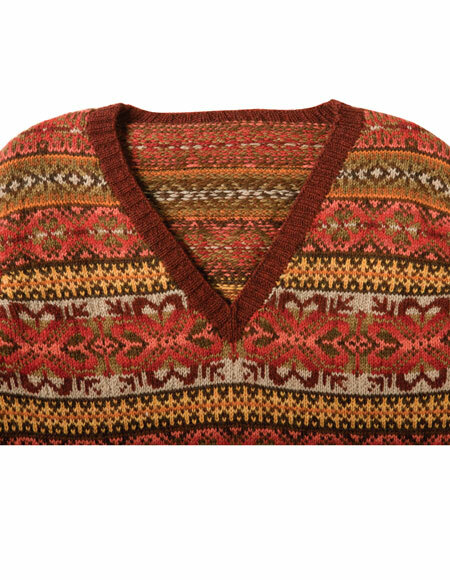 Sizes Included: Autumn Colorway 36"-48", Midwinter Colorway 36"-48"
A new take on a traditional sweater, this Fair Isle sweater features a modern palette and more feminine shaping. A fitted colorwork sweater that will keep you cozy on days you need an extra layer, this v-neck style sweater can be knit up as a cardigan or pullover, while the set in sleeves provide a finished, feminine look. 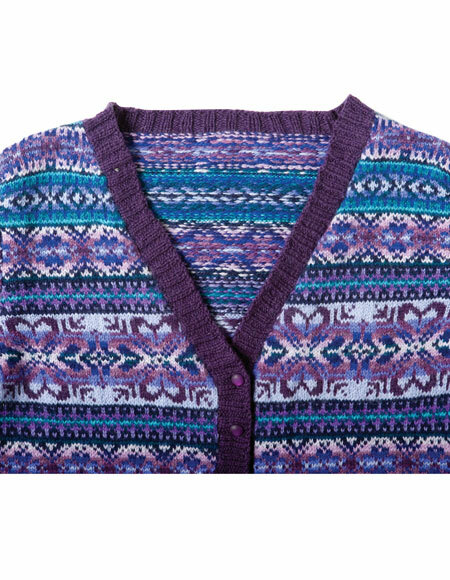 Instructions for both the pullover and cardigan are included in the pattern. 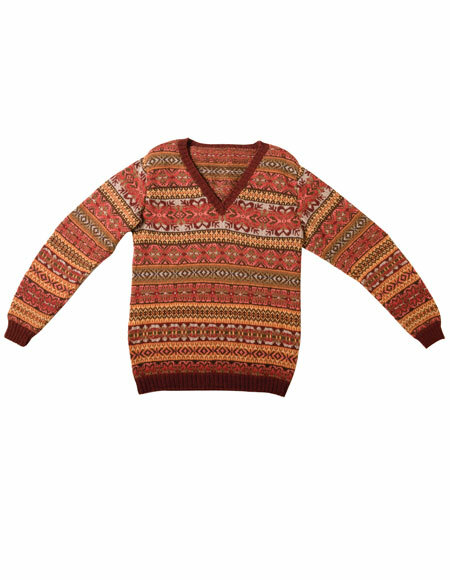 This pattern is fully charted and contains the charts for both the Autumn version and the Midwinter version. You will need US 1 (2.5 mm) 32" circulars or longer for Magic Loop and DPNs, or size to obtain gauge, needles one size smaller than those used to obtain gauge, yarn needle, spare DPNs, stitch markers. 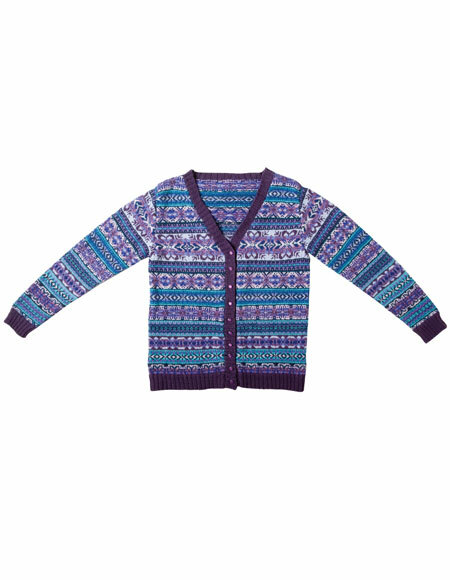 For the Cardigan, you will also need 10 (10, 10, 11, 11, 11, 11) 3/4" buttons, sewing needle and thread or a size A crochet hook for steek. Finished measurements: 36 (38, 40, 42, 44, 46, 48)" chest; garment is designed to be worn with 2-4 inches of positive ease.